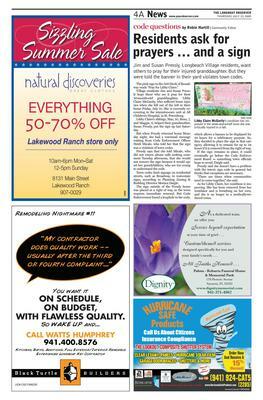 A good headline will sell a story and compel a reader to click or pick up a paper. But even the best of stories won't shine if the headline is boring or badly written. Writing snappy headlines is one of my favorite parts of my job. Here are a few that I've written for my own and other writers' stories. I will update frequently as I remember past headlines that I've written and write new ones. 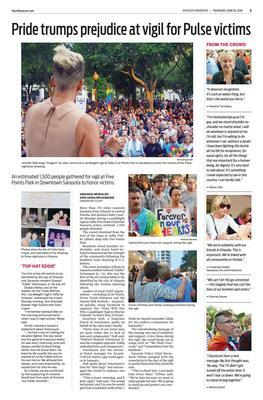 Reporters Amanda Morales and Anna Brugmann captured this amazing coverage of a vigil in downtown Sarasota for victims of the Pulse nightclub shooting. I just wrote the headline. FYI: Groins are sand-control structures. And whenever they make the news, we always ask ourselves: What can we get away with this week for a headline? 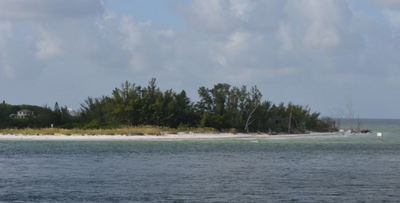 I wrote the headline for Senior Editor Kurt Schultheis' story about a longstanding dispute between the town of Longboat Key and Manatee County over who is responsible for a swath of sand known as Beer Can Island. When Molly Lefevre learned that her rental home was on fire last Tuesday, she worried that Bacon was burning. But Bacon isn’t breakfast to Lefevre and her boyfriend, Lance Plowman. 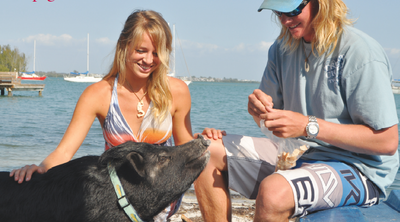 It’s the name of their black miniature pig.Fortunately, Bacon made a daring escape. 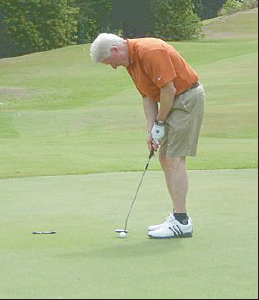 Former President Bill Clinton worked on his golf game during his first visit to the Sarasota area. Residents ask for prayers for their injured granddaughter — and for town staff give them a break on a nonconforming sign.